Learning through discovery and interest are two driving forces at Creative Beginnings Early Learning and Kindergarten. 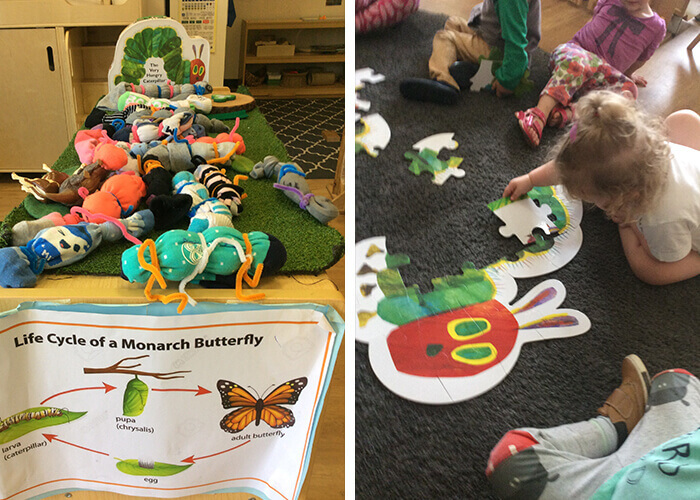 After finding a caterpillar in their garden, the children at Creative Beginnings started questioning and learning more about their new friend. Seeing the children’s interest in the caterpillar, they decided to read the classic children’s book by Eric Carle, The Very Hungry Caterpillar with the children. 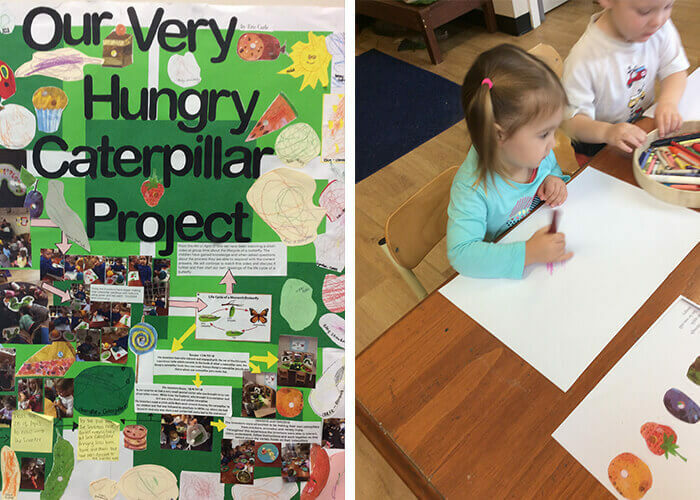 Discussions about the book led to the children creating a poster of all the foods they think The Very Hungry Caterpillar would enjoy. They demonstrated their numeracy skills through counting how many different foods they imagined the caterpillar would eat each day and also explored days of the week in the context of the book. From here, the children started to question the evolution of this very hungry caterpillar. This was the perfect opportunity for educators to discuss the lifecycle of a butterfly. 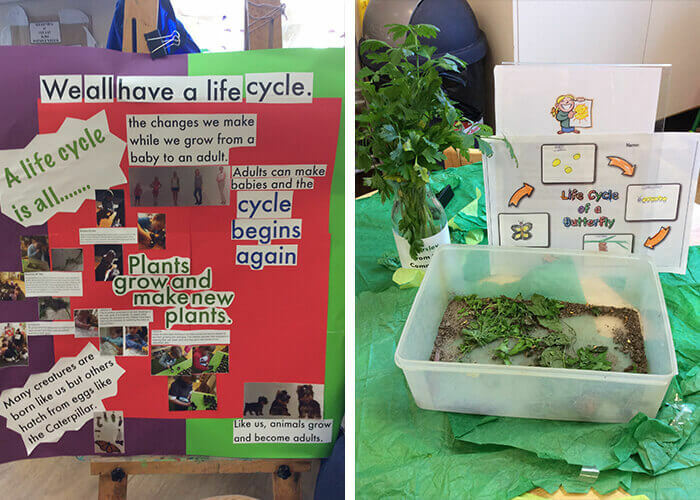 After watching a short clip and then drawing their interpretation of each stage of the lifecycle, children had the opportunity to develop their hand eye coordination and practice using pencils and pens through this interactive experience. All of this work made the children very hungry. Keeping in theme, the children created their interpretation of a caterpillar using fruit and vegetables. This allowed for the exploration of colour, shape and discussions around nutrition. Creative Beginnings Early Learning Centre actively involves children in the creation of the menu, as well as in the preparation of meals. 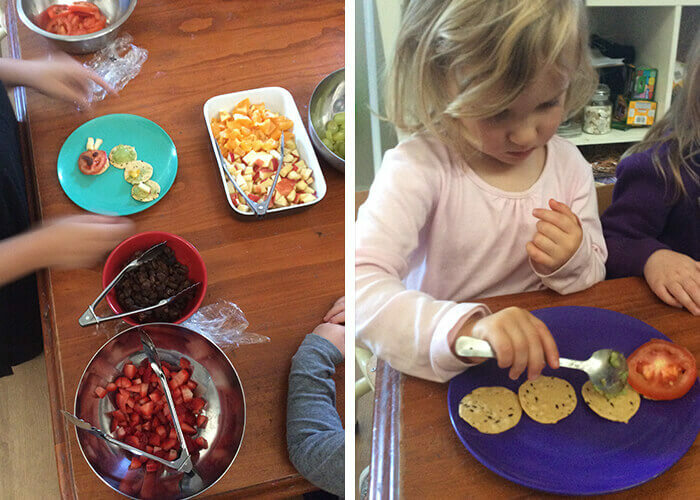 By involving children in this process, they are more open to trying new textures and flavours as well as supported in forming a healthy relationship with food and nutrition. 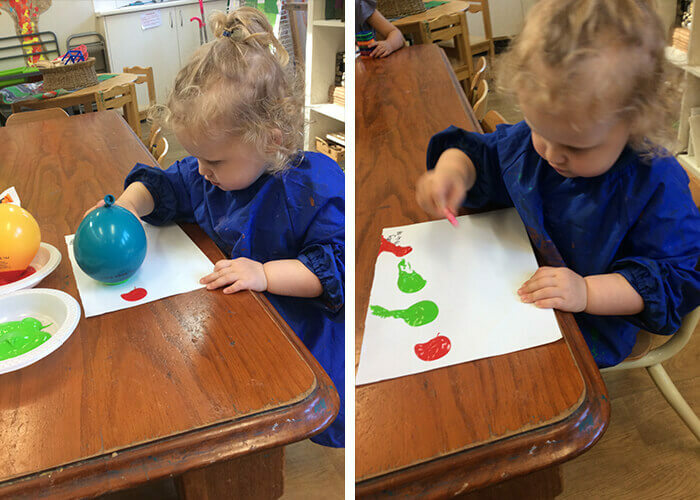 From experimenting with balloons and paint, adding to the family of images of this very lucky caterpillar, to making pet caterpillars from donated socks, children continued exploring different activities relating to the centre’s very hungry new friend with the support of the educators. What’s next for the homage of this very hungry caterpillar? 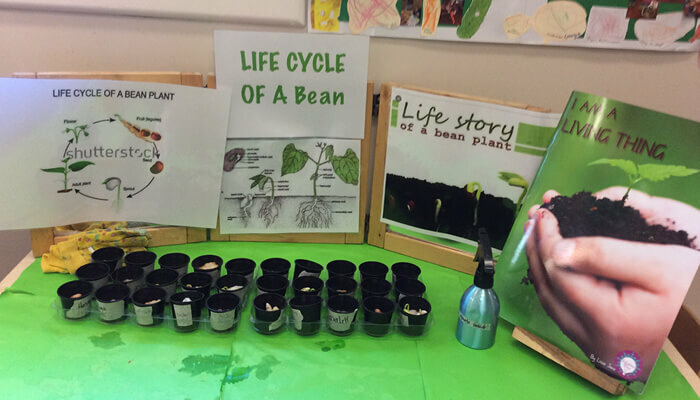 After learning about the evolution of a butterfly, the children have been inspired to learn how to help plants grow. This story is by no means over. Book a tour today to explore the progression of the bean project and meet their very hungry caterpillar for yourself.